This has been a much requested post and a topic I get questions about on a weekly basis. About 2 years ago, I had a semi permanent blow-dry done in a salon in Belfast. 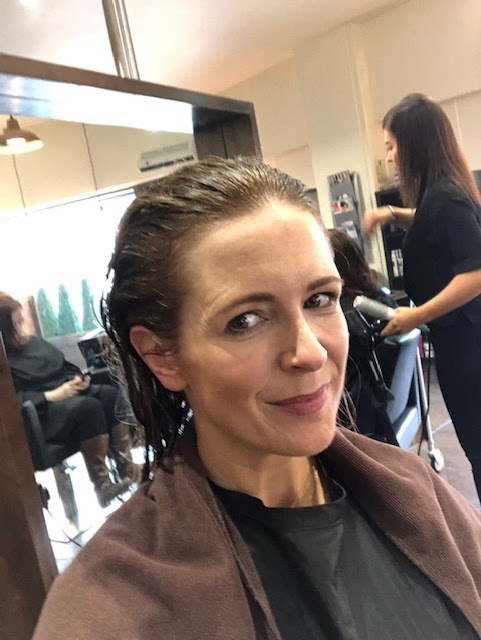 You can read about it on this post but unfortunately the salon is closed now and there's no-one else in Belfast (that I know of) using the same treatment. But because I was being asked about it so much, I spoke to my own hairdresser, Jody at Rogue Hair, about having it done there....Jody's salon uses the original Brazilian Blow Out product, which is much more gentle on the hair and customisable to different hair types and the kind of finish you want. 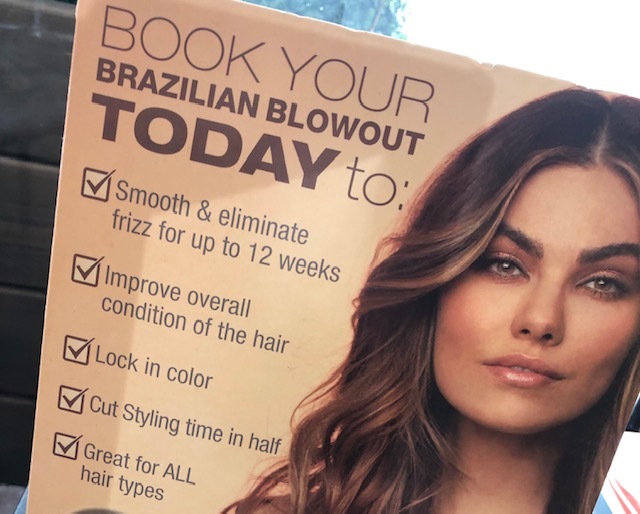 The Brazilian Blow Out actually improves the condition of the hair by creating a protective protein layer around the hair shaft to eliminate frizz and smooth the cuticle. To clarify, it is not a hair straightening treatment - it's a smoothing, frizz removing treatment which is what makes it more gentle to use on a regular basis. 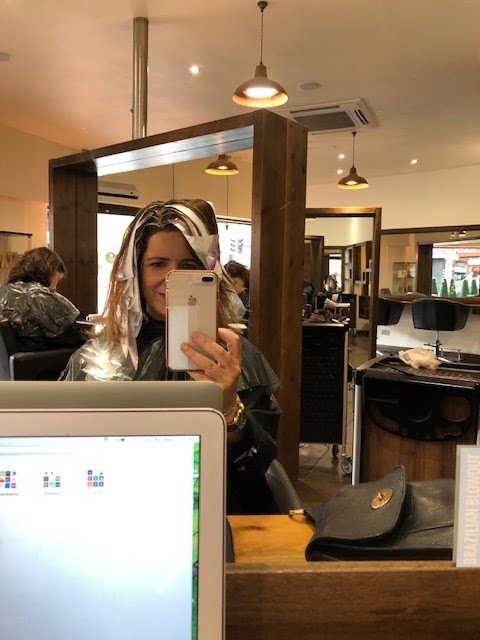 As well as improving the condition of your hair, the original BBO doesn't take very long to have done - you can be in and out of the salon in about 90 minutes. It also doesn't smell of perm solution - the main reason I was put off having the treatment again, after the last time. 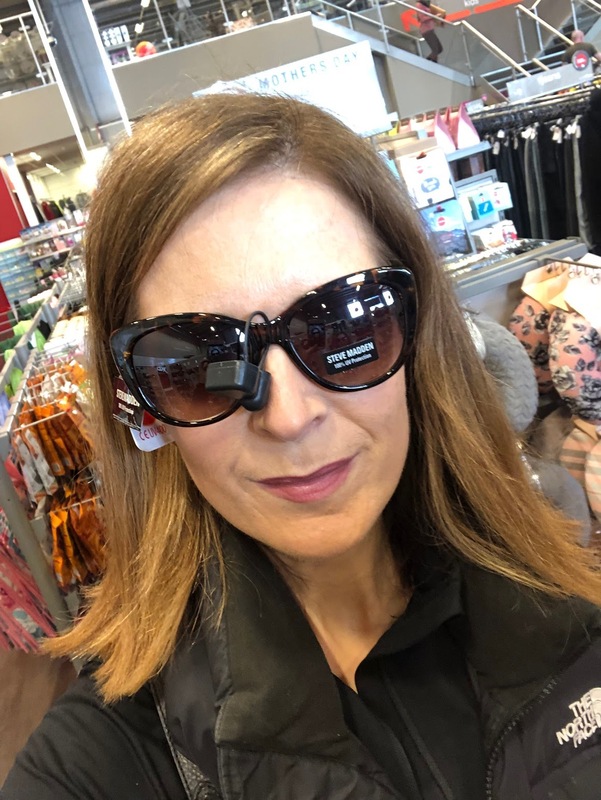 I was intrigued about how gentle yet effective this treatment is to be yet it claims to give you 12 weeks of frizz free hair so I took up an offer from Jody to have it done at a discount (on the understanding that readers of the blog would also get a discount...more on that below). I opted to have my colour done the same day but this is not necessary and the BBO does not lighten the hair like other treatments do. My roots badly needed done so it worked out well timing wise. After my colour had been washed out and while my hair was still wet after the colour, Nicki painted on the BBO treatment using a brush. There was no smell and it only took about 15 minutes for her to paint it all over my head. Once the product is in, Nicki then blow dried and straightened my hair. My eyes watered a bit as she worked around my face - that was the only noticeable effect of the product, the smell is not strong at all and quite pleasant, nothing like the last time. After the blow dry and straighten, I was taken to the basin to have the product rinsed out. Just with water and for 4 minutes with minimal agitation of the hair. 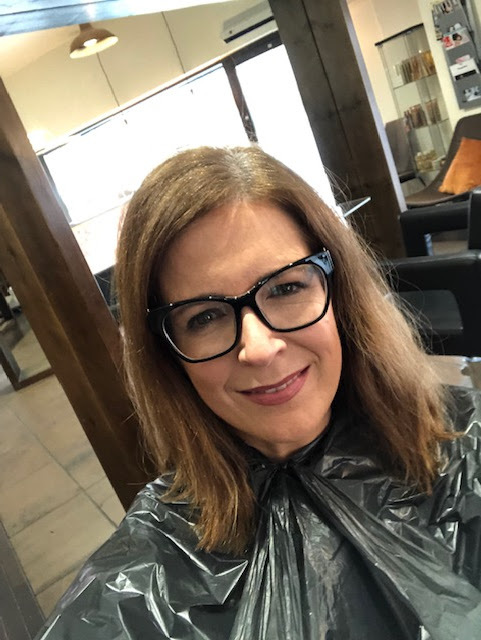 After the rinse, my hair was cut - this is included in the price - and I had another blow-dry but this time, Jody didn't use any product or straighteners. The Brazilian Blow Out was all that was needed. I had a feeling like my hair had been thinned out massively (it hadn't been) and was all lovely and swishy! Overall my hair felt lighter on my head but more importantly it still had body. The last time I had a semi permanent blow dry done, my hair was poker straight, which is fine for some people but it did look a bit unnatural. Not with this one. So what's next? The aftercare is simple - just a shampoo and conditioner that is supplied as part of the price and I should be able to look after my own hair for the next 10-12 weeks. Unlike other treatments, you can wash your hair, exercise, swim, curl your hair or tie it up...it doesn't affect the treatment. My last treatment had to be left alone for 48 hours - I couldn't even tuck it behind my ear as it would have affected the finish. I'm a week on now and have washed it myself for the first time. The verdict is good - my hair is much more manageable and required no straighteners and a very brief blast dry (no product) to be ready to head out and about. I forgot to take a picture but I did try on some sunglasses in TK Maxx and took a selfie...it's so amazing for me to get this finish without using straighteners or product. Another thing I'm very happy with since having the treatment is the condition of my hair. I've gone a good bit lighter in recent months and it's definitely affected it.....there's no doubt that highlights take the shine off the hair so the treatment has really helped in that regard. So I'll keep updating this post as the 10-12 weeks go on with photos and commentary and my honest view of how I find the treatment. In the meantime, if you are interested in having the treatment done in Rogue by Jody on Bradbury Place, Belfast, you can get 20% off the treatment until the end of June 2019 by quoting Avril when you book it. 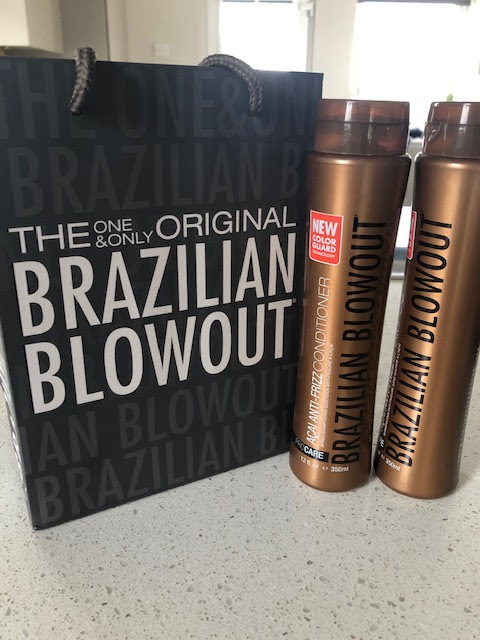 This brings the treatment cost to £144 and although this sounds expensive, it does include your full size 350ml shampoo and conditioner AND a cut, all of which together would cost around £80. If you've any questions, please feel free to leave a comment or send me an email. In the interests of disclosure, I paid for the treatment myself, with the discount above.